when all of chantelle’s friend were all out at parties or the beach, she’d be at home on her computer because she wasn’t comfortable going out being her size. 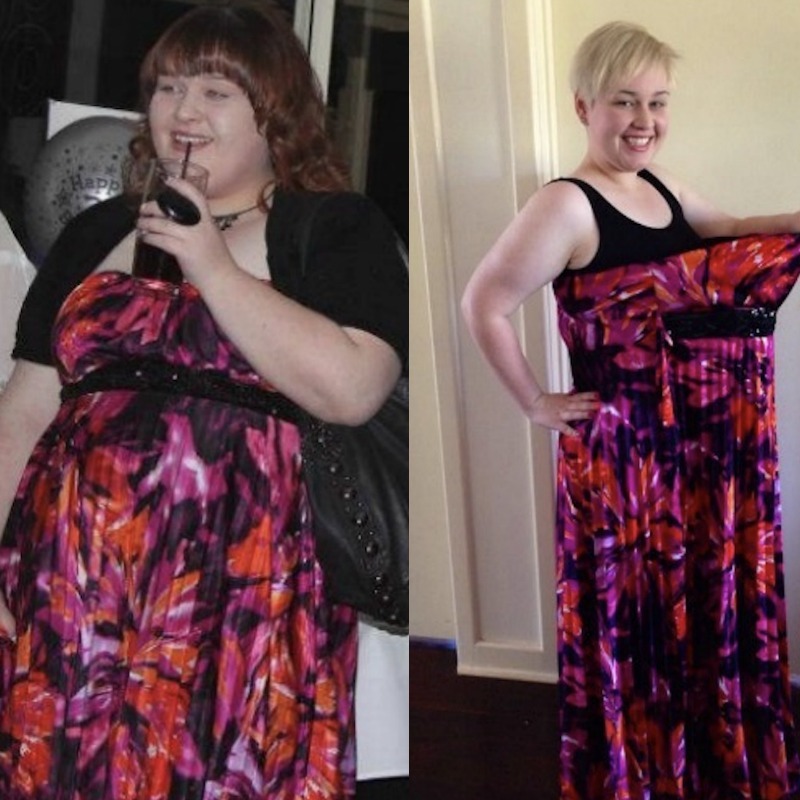 This was gave her the motivation to lose 37kgs (81ibs). I first started gaining a lot of weight when I was around 9 or 10. At that age I was dealing with my parent’s divorce, my disabled brothers and sexual abuse so I turned to food for comfort. My heaviest weight…well, I’m not exactly sure of that. I stopped weighing myself after 110 kilos but I think it was around 115. It was January 2013. I was at home on my computer on a Friday night. I realised that all my friends were out at parties or hanging out at the beach. I wasn’t comfortable going out that size. I had already been thinking of starting yoga or pilates. When I saw a new year discount for pilates, I joined up at the end of January, determined not to feel that way anymore. 37 kilos. My aim is to half my starting weight, so I’m still going. Gradually cutting down on the junk. I used to drink about 5 glasses of Coke a day. Cutting it cold turkey had never worked for me. So I reduced it to 2 glasses a day. Then 1 a day to 1 a week to once in a while (like on my birthday). I started adding green, leafy vegetables (like spinach and kale) to my meals to fill me up. When I felt more confident with myself, I joined a gym (June 2013). I made a timetable of work outs and stuck to it. Eg, fitball pilates on Wednesday night, cardio on Thursday morning, rest day on Friday. Myfitnesspal was a great way to keep count of my calories and figure out what I should be adding to my diet. 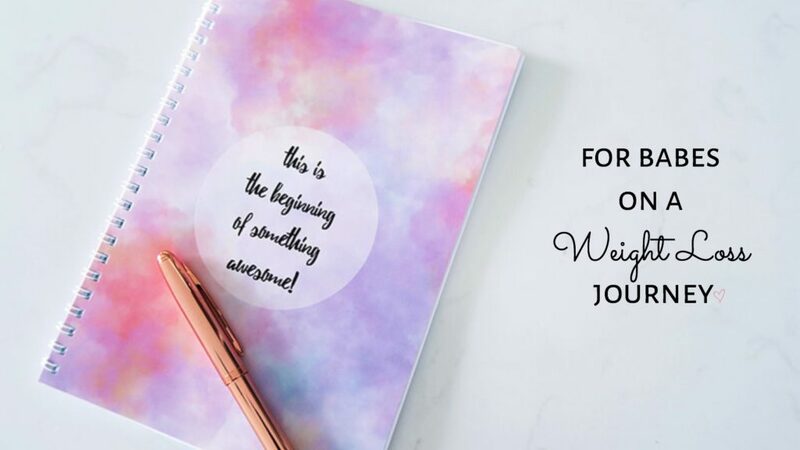 I really recommend keeping a food journal. Sometimes you don’t realise how much you’re eating until you write it down or take a photo. I have a cheat meal once a week, usually on a Friday. It’s something I can look forward to during the week and reward myself for sticking to my meal and exercise plan. It didn’t start coming off until April 2013 when I started doing cardio, weights and eating clean. So it took about a year because I’ve been working on maintaining this year. Yes, lots! Moving your body is such a huge part of keeping healthy. I have always hated exercise and was always picked last for sports teams. But now something has just clicked. I still hate lunges and I’ll probably never be able to do a cartwheel but I like seeing how my body changes and improves. Seeing how my co-ordination is better. Realising that I’m not tired after playing a game of chasey with kids. Picturing myself in the future, being happy and healthy. -People trying to tear me down for trying to lose weight. -Realising that I have to stick to it, there are no short cuts. -Being patient. We all wanna hop on the scales and see a big difference. Some weeks you’re not going to lose anything, it might take a while longer than you thought. Sorry, I can’t choose just one! Still chocolate (but in small doses and for a cheat meal). Berries. I love making a smoothie with mixed berries or sprinkling blueberries over my oatmeal. Spinach. I don’t think I’ve ever eaten spinach before last year. Now I take it as a snack to the movies. Protein like chicken and turkey. Not thinking about what I’m eating. Just eating whatever I want whenever I want. Using food for comfort. I have an exercise jar that I put $1 into every time I exercise. When I reach a certain amount, I treat myself to something nice (shoes, nail polish, jewellery). I’m currently making myself a reward chart (I’ve been working with kids too long) to reward myself for eating right and exercising. Now that you’ve lost weight, how do you keep it off? Being conscious of what I eat. It’s easy to get complacent. Be consistent with your diet and exercise. I recently changed gyms from a small 24 hour gym to a bigger franchise with lots of group classes. So now I’m pushing myself to keep up with the other members and I’m learning new things. And if I want to blow off the gym that day, I realise that I won’t see my favourite instructor for another week. My mum also joined this new gym with me and we motivate each other to go. She’s always been my biggest cheerleader and Jiminy Cricket. What did you do when you reached your goal weight? I’ll let you know once I have my tummy tuck next year! But I rewarded myself last year by getting a blonde pixie cut for my birthday. It was something I’ve always wanted to do but I was afraid that my face was too fat for it. What was your dream “skinny” outfit once you lost weight? Bathers and wearing a top/dress without covering my arms. Yes, people are more polite. I find it hard to date because I think, you wouldn’t have looked at me before, you would have made fun of me. More energy which I need since I work with children! Being happier, in general. I still have bad days but it beats being too depressed to get out of bed. I’m able to get up and out of bed in the mornings. I never could have imagined that I would be getting out of bed at 5am to exercise. My skin has cleared up a lot. No more chub rub on my thighs! Don’t get disheartened. If you slip up, that doesn’t mean everything is ruined. Just keep swimming. last weeks weight loss success babe was Lauren. She went from a size 22 to a size 10.